I have been a regular visitor to Ben Britton’s “Everything Saxophone (Reviewed)” blog site for a while now and find myself revisiting his advice often throughout the week. I am not only a fan of his playing but a fan of his opinions and advice. In reading his writings it is clear that his opinions are those of a person well practiced and talented. On his blog site you will find practice tips for intermediate to advance players along with some transcriptions and reviews of fantastic equipment. 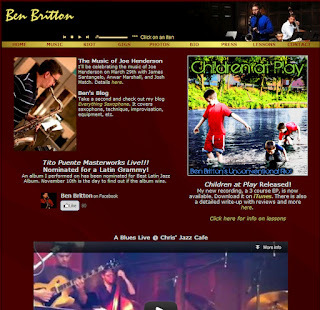 On his personal site you will find musical examples of his playing as well as links to his cd and information on his background. 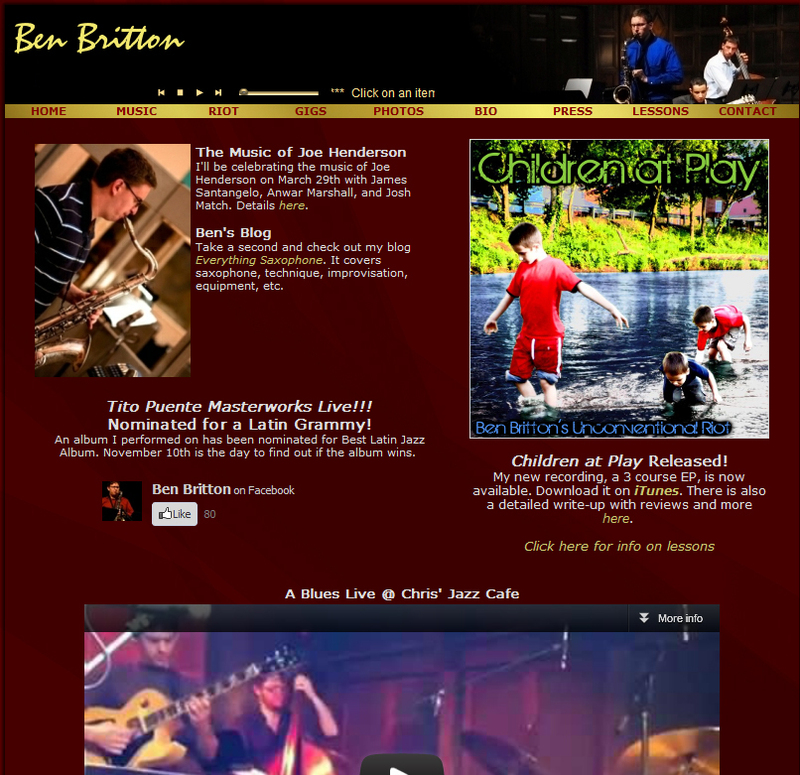 if you have the time to view one or maybe two site today consider viewing Ben’s site and enjoy.